But this time was different. Blake Judd wasn’t just some rumor monger. Blake Judd, from Judd Films, based in Kentucky, has been co-directing a non-profit film about Charlie Louvin that was being made to help Louvin with his medical bills. George Jones, John McCrea of CAKE, Marty Stuart, and Alison Krauss have been so kind as to appear in the film. Blake had contacted me earlier this week to ask to use a video I had made of Louvin and Billy Bob Thorton singing The Knoxville Girl at Nashville’s Cannery during the 2008 Americana Music Conference and Festival. It was an honor to be a part of this undertaking, of course I agreed. I did a quick Google news search but nothing had been announced. But I trusted the source and posted the sad news on my twitter account. I knew this was just the thing my followers would want to know. I also posted it on the Twang Nation Facebook page and in a case of classic Internet age sourcing a post comment was added to the post from No Depression’s Kim Ruehl that his Wikipedia page still had him listed as alive. She was right, I was becoming uncertian. An hour later that had changed. 1/26 had been added as the date of death on Wikipedia.But the I noticed an astonishing thing was happening on Twiiter. Charlie Louvin was a trending topic. Now trending topics on Twitter can be a great bottom-up source of news, like in the suicide bombing at Moscow’s Domodedovo airport , but more often than not the trending topics are a source of stupid jokes gone viral. But there it was , Charlie Louvin’s death had gone viral. It was a fine send off for a man that made it big, along with his brother Ira, as the Louvin brothers. The groups were innovators of the close-harmony style that influenced The Everly Brothers and, then later, Simon & Garfunkel, The Beatles, Gram Parson’s version of The Byrds and The Beach Boys. 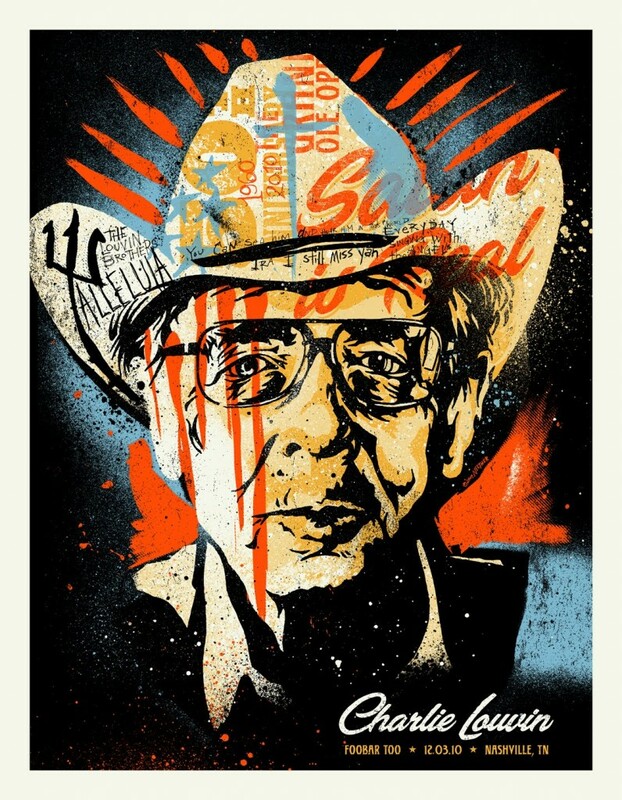 Ira was notorious for drinking and reckless behavior leading Charlie Louvin to fire his brother. The next year, after a period of sobriety, Ira was killed when a drunk driver struck his car. Louvin’s later career resurgence, Like many legends of country music, didn’t come from Music City but came from the Americana community. While covering the Louvin Brothers cold war testament “The Great Atomic Power” live Uncle Tupelo caught the eye of Peter Buck, guitarist for R.E.M., who saw the alt.country pioneers perform at the 40 Watt Club in Athens, Georgia. Buck offered to produce their next album. The album March 16-20, 1992 on Buck’s Rockville Records and contained The Great Atomic Power with an abbreviated title. In 2006 New York’s Tompkins Square Records released disc of classics containing one new song, a tribute to Ira, and a gospel album on Tompkins Square Records. The songs pair Louvin with other singers, such as George Jones, Jeff Tweedy of Uncle Tupelo and Wilco, Alex McManus of Bright Eyes and Elvis Costello. Here’s to a great man that stayed true to his art and vision. A huge loss to folk, country, Americana…hall, American music! Thanks for the long, informative tribute! Gregory, you’re welcome and thanks for stopping by.